Brothers of Pi Kappa Phi are bound together by a common loyalty that transcends any personal selfishness. It is in that spirt of cooperation and unity that we now ask you to share with us. 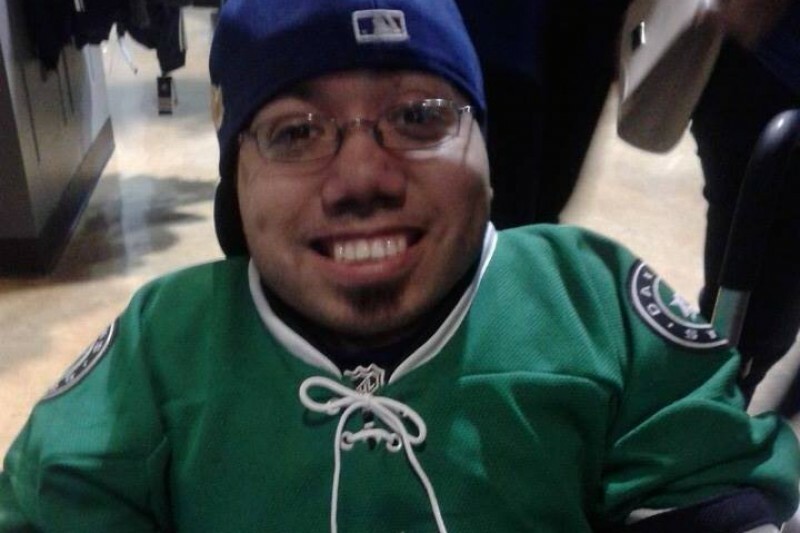 Brother Angelo Rios of the Delta Psi chapter at UT Arlington is in the hospital fighting for his life against a serious blood infection, and while we believe he will overcome his and his family’s struggle will not end there. He's still intubated as of 7 am this morning, but the nurses and doctors are assuring us he is stable for now. Blood tests, CT, and X-rays have been done to help identify the cause of his infection, and what can be done to treat it properly so he can start to come around on his own. Currently, he is in ICU at Arlington Memorial, so visitations are limited to two people at a time. If you do go, please be patient as the nurses do not want too many people crowding the room, since it's still fairly critical, but prayers and support are definitely welcome if you do go, and spend a little time with him. Angelo has a contagious smile that can brighten anyone's day.We are calling on all those in the UTA community and beyond to help us support our brother and his family in their time of need. All money raised will go towards helping Angelo’s family pay for hospital bills and other things he’ll need when he gets out of the hospital. Every little bit helps. Let us come together and do our part to raise up our brother and his family. As a former baseball player at UTA, Angelo was one of our best supporters and I will always appreciate that. I met you a couple of times at events that I have worked at UTA. You are awesome and its always great to see you. I hope for your quick recovery and look forward to running into you at events in the future!!! Ricky and I have been praying you through this, Angelo! We are so glad you are back in Brazos! Human Robot's class is thinking of you, Angelo!